As the rest of the country swelters in the summertime scorch, folks in the High Country are comfortably basking in Breck’s inviting warm rays and cool mountain breezes while enjoying the endless activities this charming place has to offer. Why do these ten short weeks cause Breckenridge-lovers to fall even harder for this quaint mountain town? 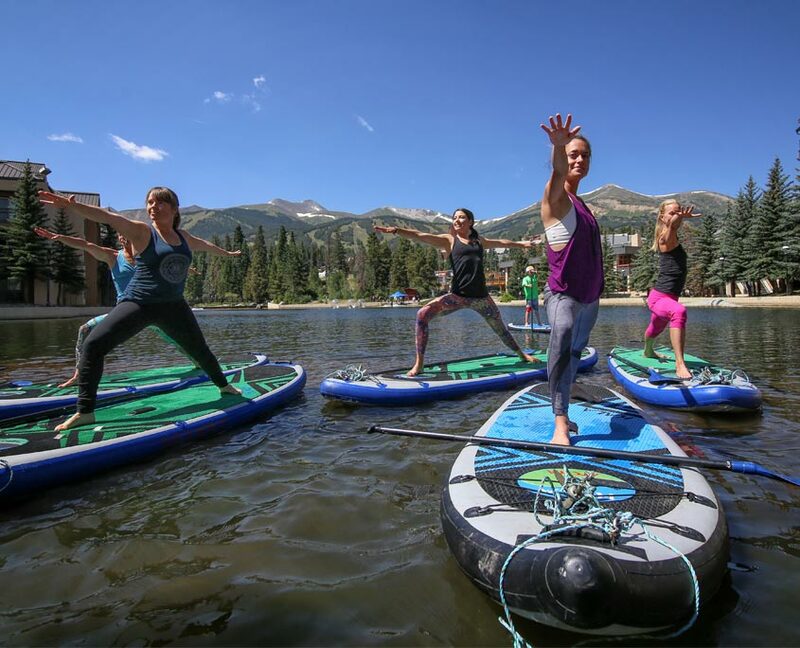 Mother Nature serves up summer in Summit County on a silver platter with ideal weather for all who enjoy having fun in the sun (which means there’s no need to roast in unbearable heat or lock yourself away in an air-conditioned basement). With the temperature averaging a mild 70 degrees all summer long, adventure is knocking at your front door. Check out our top 5 favorite ways to “Beat the Heat” in Breckenridge this summer. Imagine this: hiking with your family in the beautiful Rocky Mountains, the sun is shining and there’s a cool mountain breeze that feels oh-so-good as you start to work up a sweat. You finally make it – and the view is STUNNING. Water gushing over the rocks; surging and plunging down the mountain. The calm humming sound that vibrates in the air puts a smile on your face as you sit and take it all in. Sounds awesome, right? 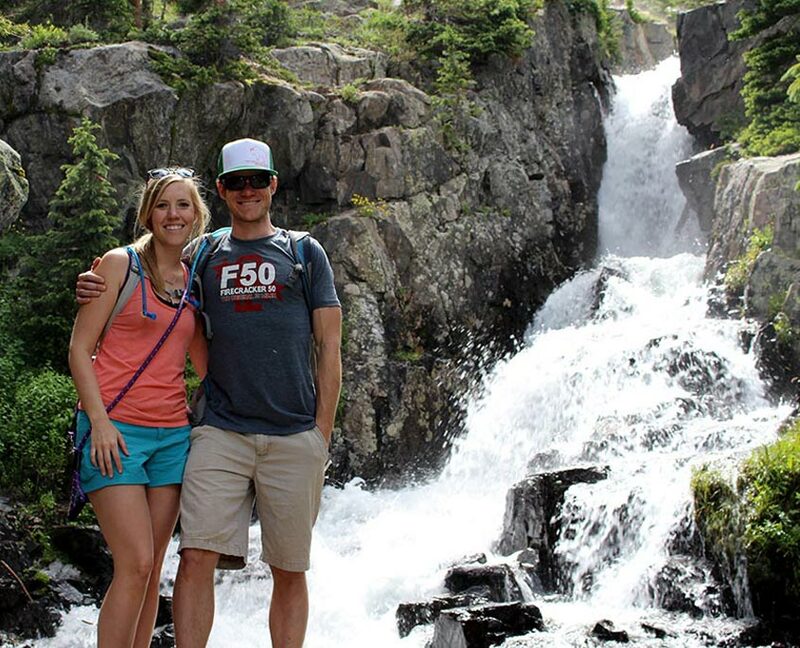 Click here to check out our favorite waterfall hikes in Breckenridge. Looking for something a little more adrenaline-inducing than a leisurely hike? Check out downhill biking at the resort (the same runs you ski in the winter! ), mountain biking on trails, or fat biking through town. You can rent downhill and trail bikes here. 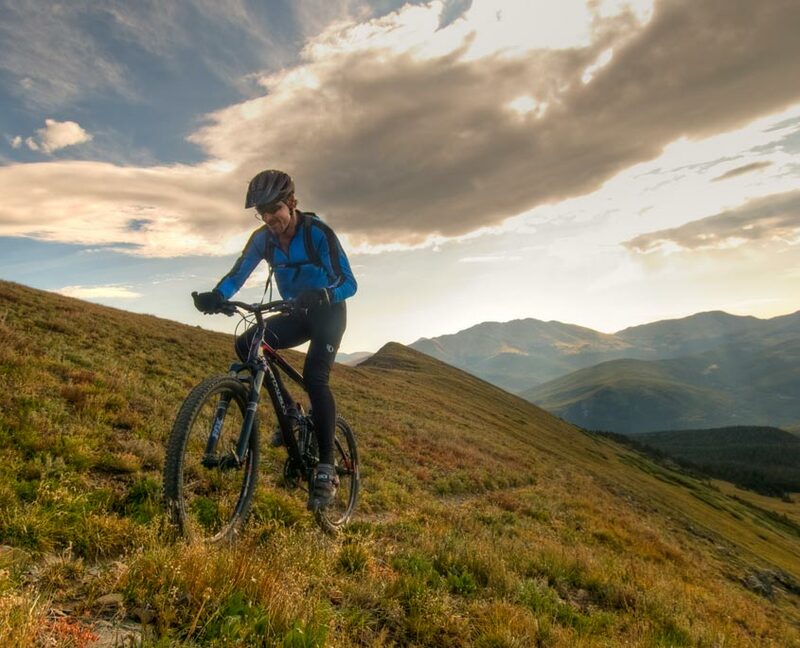 Check out fat biking with Ridden here, they really elevate the whole “Breckenridge” experience by taking you on a tour of the town while learning some history. Then, you end the day at with a beer at Broken Compass Brewing or cocktail at the Breckenridge Distillery. Doesn’t get much better than that! Lake day in the mountains, anyone?? Did you know you can rent boats, kayaks, canoes, paddle boards and more at the Dillon and Frisco Marina’s? That’s right! You can have a “beach” day right here in the Rocky Mountains. Grab your swimsuit, sunscreen, floppy hat and sunglasses. There’s even a Tiki Bar at the Marina in Dillon if you’d rather sunbathe and sip on a delicious Pina Colada. Learn more about rentals and pricing options here. Discover a side of the mountain you’ve never seen; summer fun on the ski hill! (Minus the snow, of course .) 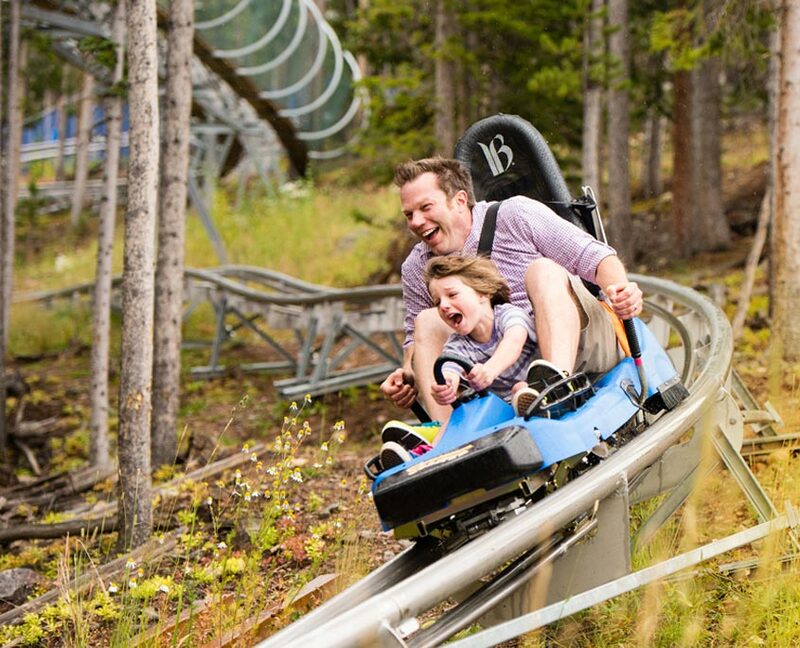 Zoom down the Gold Runner Coaster and Alpine Slides, then zip through the towering treetops on the Expedition Zip Line Tour with a bird’s eye view of the Rocky Mountains. Test your skills on the Ropes Course, or take your turn climbing the Gold Summit Climbing Wall. It’s a mountain of possibilities that enable you to explore nature in fun ways you would have never imagined. Buckle up for an adventure-filled day! Click here for more information. Nothing in Colorado showcases the summer scenery like a raft trip down one of the state’s majestic rivers. 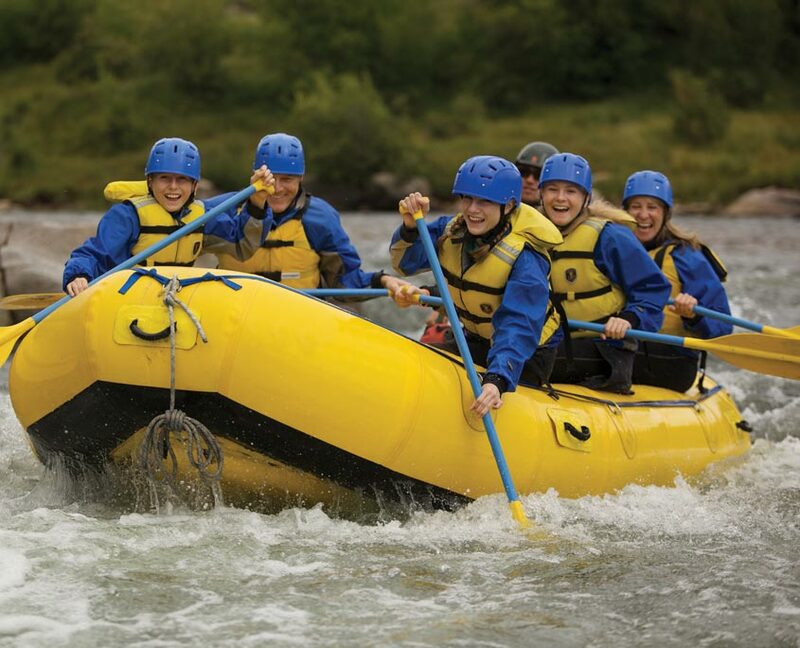 Whether you are looking for an adrenaline-pumping whitewater excursion or a scenic float trip, rafting trips are available for all ages, levels of ability and interest. Guided rafting trips are fun for first timers as well as experienced rafters looking to try a new river. Check out Kodi Rafting or Performance Tours Rafting for your hand-crafted adventure in Breckenridge, Colorado. Whether you’re outdoorsy in the sense that you like to take a leisurely walk in nature on a marked trail, or you’re an enthusiastic mountaineering activity junky wanting to race down the river in a float, we’ve got it all. Breckenridge has over 243 sunny days in a year – what are you going to do with your time here?